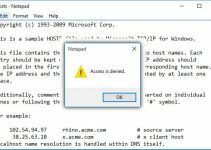 Learn how to fix “The disk structure is corrupted and unreadable“ error in Windows 10, in this tutorial. 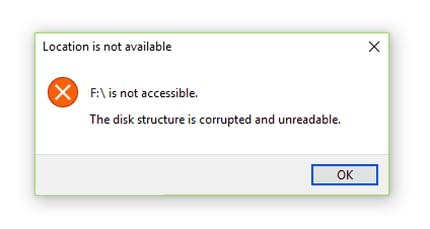 When working with File Explorer, sometimes a drive (external disk, USB or DVD drive) may not be working. In such case, Windows can’t access the corrupted partition and you also couldn’t perform any file operations on it. 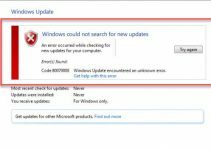 This tutorial will show you a few fixes for “The Disk structure is corrupted” error in Windows 10. Step 1. Open This PC/File Explorer/Windows Explorer by pressing Windows Key + E.
Step 2. Then you select the drive with which you’re getting the problem, right-click it and click Properties. Step 3. On the property sheet, you select the Tools tab. In Error checking section click Check. Step 4. Next click Scan drive. This will let Windows check for disk errors, then you can see that issue is fixed and the drive becomes accessible. Step 1. Plug the external storage device into the computer. Step 2. Press the File Explorer button on the Windows taskbar. Then click This PC to open a list of devices and drives. Step 3. Next, you right-click a drive listed there and click Format. Step 5. Click Start button to format drive. Step 1. Press Windows Key + X and select Device Manager. Step 2. When Device Manager window opens, you expand Disk drives. Step 3. Under Disk drives, right-click the external disk drive and click Uninstall option on the context menu. Step 4. Now you click the Scan for hardware changes button to reinstall the disk drive. Step 5. Lastly, restart your system after the disk has reinstalled. If this makes no changes in your situation, instead of uninstalling the drive, select Update Driver Software. If the problem is with external/USB/DVD drive, I highly recommended you should check the drive by plugging it into a different computer. This will help you to isolate the problem that whether its your drive or Windows is the culprit. If the drive has been malfunctioned, you need to replace it. 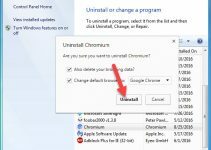 If you have installed any third-party drive partition tool, disable or temporarily uninstall on your computer. If you’re facing this error with removable storage such as USB drive, unplug and re-plug the storage device. That’s about it. I hope they should help and let you solve the problem. If you want to copy this post on your blog, please write source and link to Windows Free Apps. Thank you.